Scientists explore ways to help coral thrive in the face of climate change. 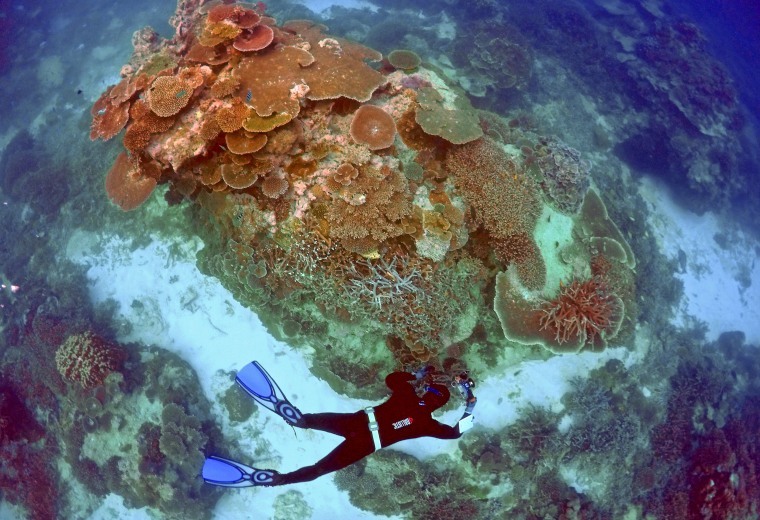 As the world's oceans continue to warm, coral reefs are struggling to survive. In recent years large swaths of some of the world's biggest and best known reefs have died, and a recent UN report maintains that the reefs could "cease to exist as functioning coral reef ecosystems by the end of this century" unless steps are taking to protect them. But scientists are stepping in to help. From floating chemical "sunscreens" to reef-patrolling robots, they're developing all sorts of strategies and devices to help coral. In one of the most promising approaches, researchers are looking for ways to accelerate the pace at which corals adapt to warmer seas — so they can survive rather than succumb.